Mantras mandalas are words or phrases that are chanted out loud or internally as objects of meditation. 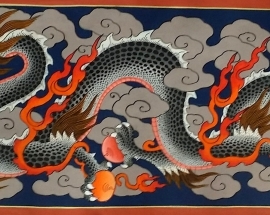 Often these mantras are associated with particular Buddhist figures. 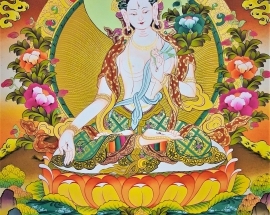 whose qualities can be cultivated by the repetition of the relevant mantra. 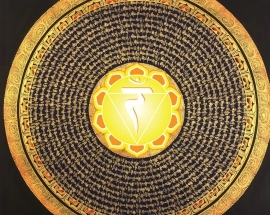 Mantras and Mandalas are two side of one coin. 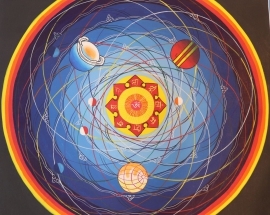 Mantras are sacred texts and mandalas are sacred pictures. 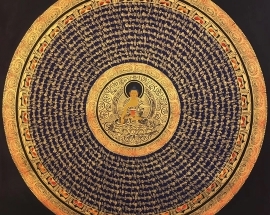 Without mantras mandala looks incomplete. 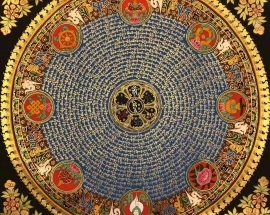 Mantra helps mandalas to be more meaningful and mandala helps us to be focused. 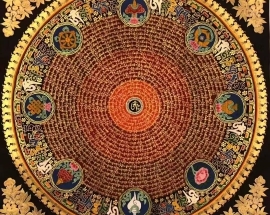 Standard descriptions of mandalas and mantras show a relationship between their use and pagan gods or supernatural cosmic forces. 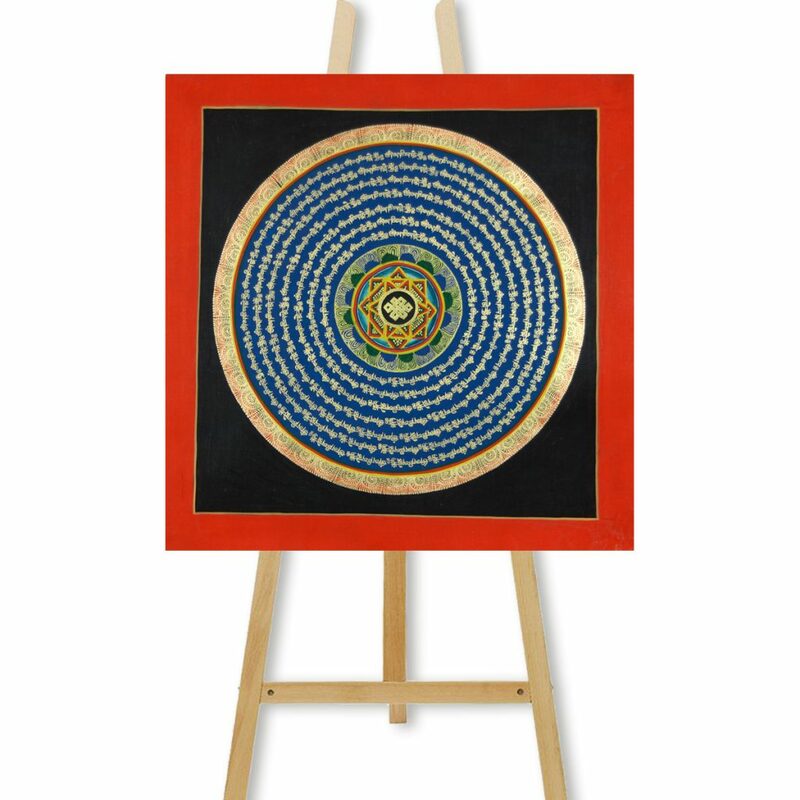 Mantra Mandala is meditative art so they are useful in meditation. 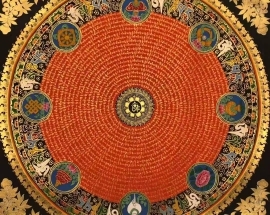 Heart Chakra Mantra Mandala is hand painted in Nepal. 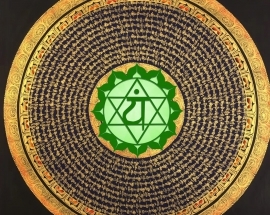 The heart chakra is also called as Anahata which is the fourth primary chakra, according to Hindu Yogic, Shakta and Buddhist Tantric traditions. 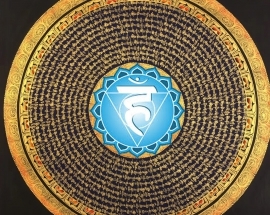 Throat Chakra Mantra Mandala is handpainted in Nepal. 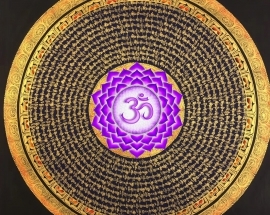 This mandala is perfect to gift to friends or family involved in meditation and yoga. Auspicious symbol mantra mandala with om in the center consists of 8 auspicious symbol mantra around it and decorative flowers in the corners. 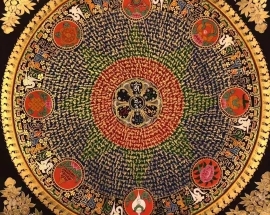 Mantra Mandala with 8 Auspicious symbols is handpainted in Nepal which contains om in the center, 8 auspicious symbol mantra around it and decorative flowers in the corners. 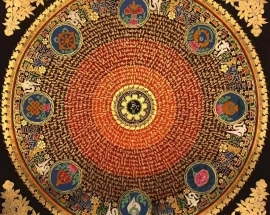 Mantra Mandala with Auspicious symbol is handpainted in Nepal which contains om in the center, 8 auspicious symbol mantra around it and decorative flowers in the corners.